Federal wildlife managers edge closer to delisting the grizzly bear . 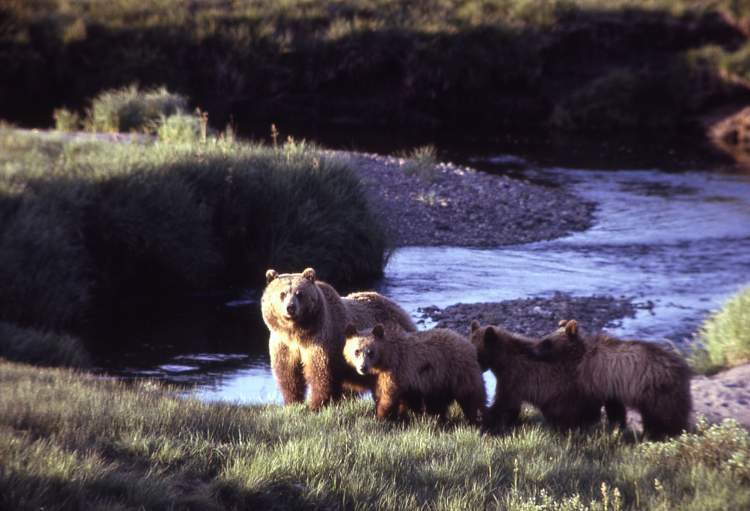 . .
Wildlife managers will seek to maintain grizzly bear numbers in the three-state Yellowstone region near current levels as they move toward lifting protections for the threatened species, a U.S. Fish and Wildlife Service spokeswoman said Wednesday. The agency has set a management goal of 674 grizzly bears across the 19,300-square-mile region. That’s enough of the animals to “ensure a sustainable and resilient population,” spokeswoman Serena Baker said. The population target is consistent with the average number of bears between 2002 and 2014. But it’s about 6 percent below the most recent tally of 714 bears at the end of 2014.